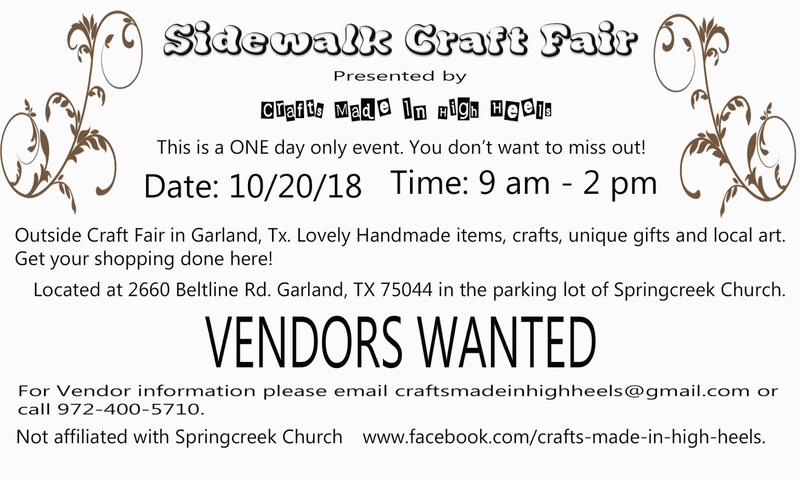 "Outside Craft Fair in Garland, Texas. 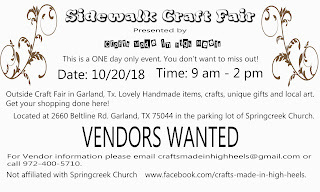 Lovely Handmade items, crafts, unique gifts and local art. Get your shopping done here! Located in the parking lot of Springcreek Church." "The Dallas Woman's Forum is hosting a Fall Boutique with a Girls Night Out Shopping Extravaganza on Friday, October 19, 2018 from 6-9 pm. We continue our boutique on Saturday, October 20th from 10-4. Shop for all of the upcoming holidays. 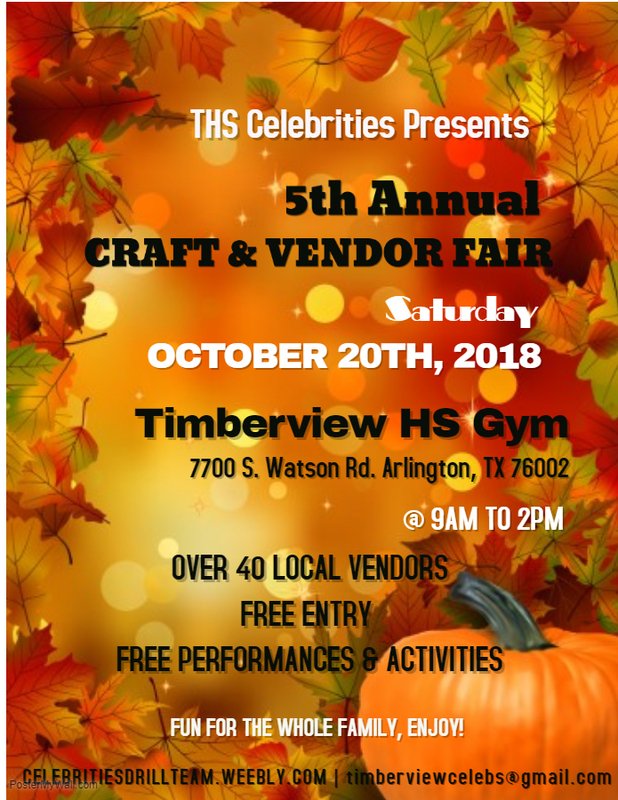 Vendors will have Halloween, Thanksgiving and Christmas decor as well as one of a kind jewelry, clothing, pet items, children's clothing and much more. We are even having a bake sale!!" "Professional crafters, lunch cafe, bake sale and coffee/dessert bar." 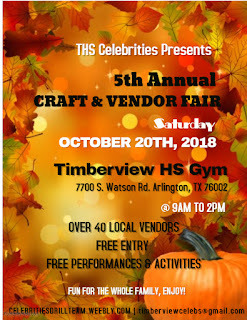 "Over 40 Local Vendors, Free Entry, Free Performances & Activities"
"Calling All….Quilters, Scrapbookers, Stitchers, Jewelry Makers, & Painters! Any one who enjoys making crafts. Bring your own supplies and projects & work on any project of your choice."